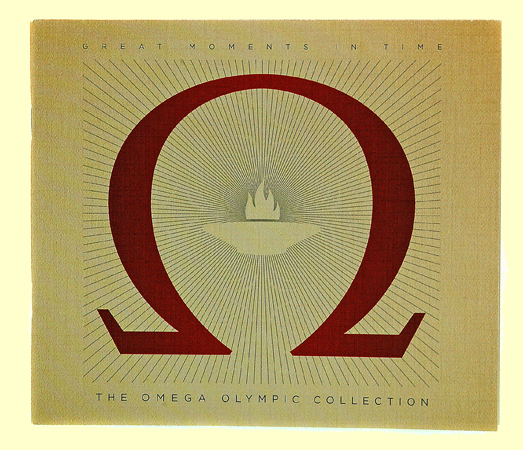 Gent's Stainless Steel Omega Olympic Collection "Speedmaster Broad Arrow Chronograph" Special Edition Watch. 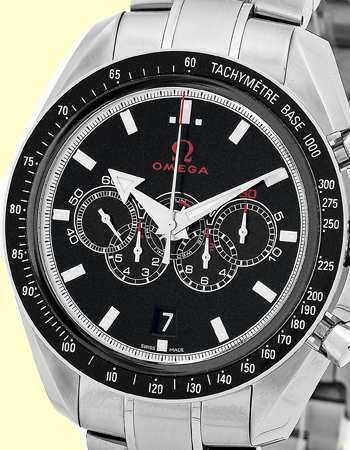 Black Dial with Raised Silver Baton Hour Markers, Subsidiary Second Hand, and Day-Date Indicators. 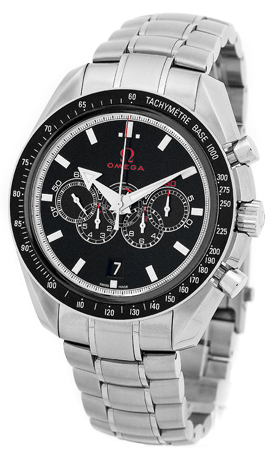 Stainless Steel Tachymetre Bezel, Chronograph Functions, and Sapphire Crystal. 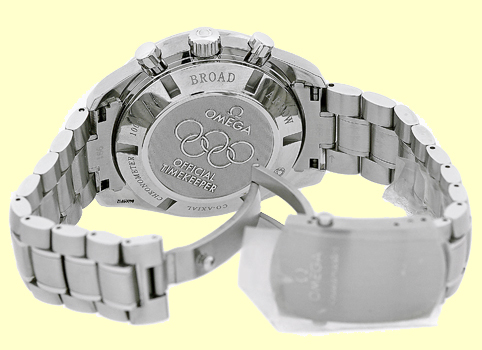 Matching Stainless Steel Omega Speedmaster Bracelet with Push-Button Fold-Over Clasp. Handmade Swiss Co-Axial Chronometer Certified Automatic Movement. 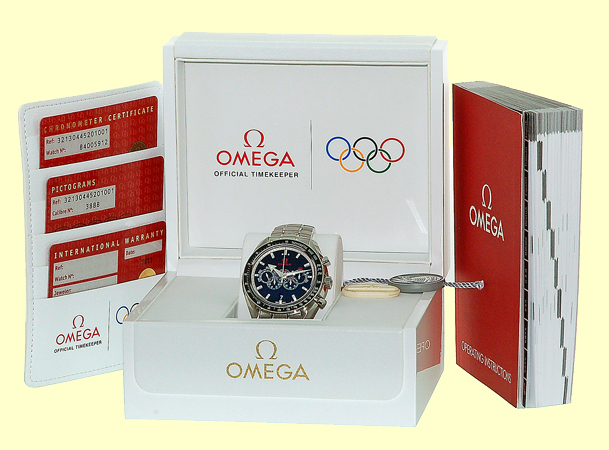 Brand New, Showroom Perfect with Omega Box, Booklets, Warranty Cards, Hang Tags, and complete with Capetown's Lifetime Warranty! !